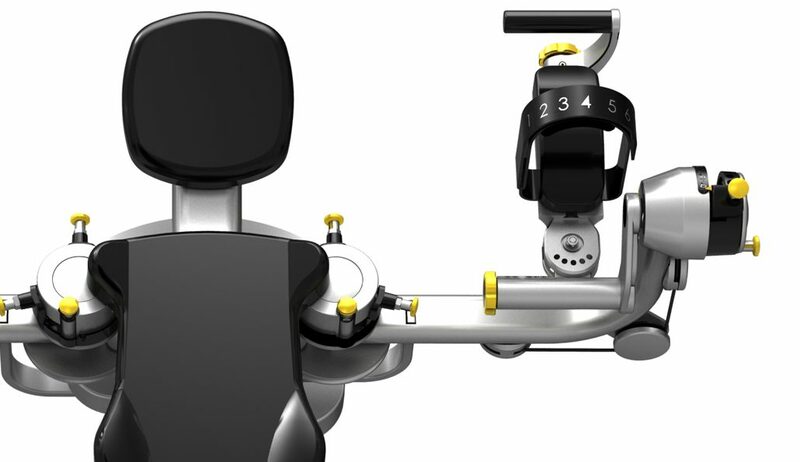 The MUJO system is a ‘Connected Care’ medical technology that delivers digitally guided exercises through all ranges of motion. Our patented dual axis loading technology is at the core of our devices. The shoulder is a much more complex structure than a simple ball and socket joint and has a centre of rotation which is not fixed. A multi-axis loading device allows a far more efficient targeting of the muscular structures around the shoulder joint making controlled, loaded, PNF exercises possible. Our connected devices come packaged with a physiotherapist portal and a patient app. The portal allows therapists to prescribe exercises, and track the compliance and progress of their patients. 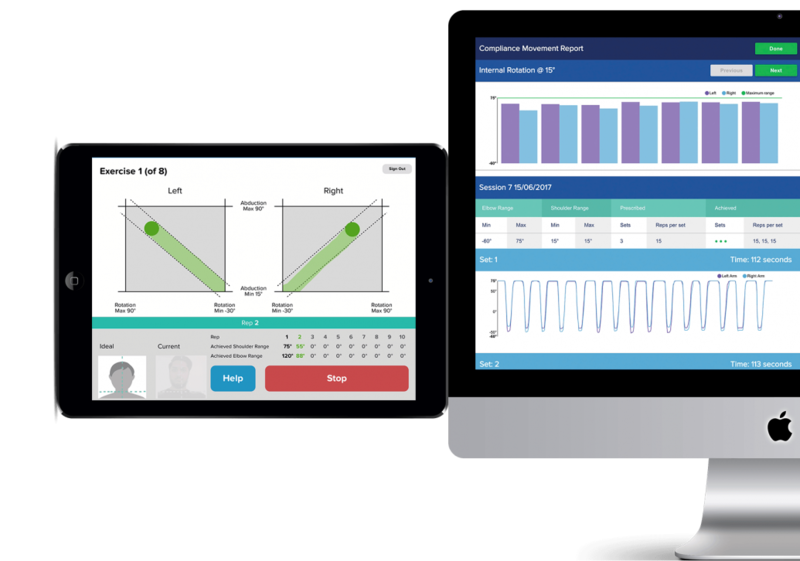 The app guides patients through their prescribed exercises and provides real time visual feedback with accuracy and performance ratings. 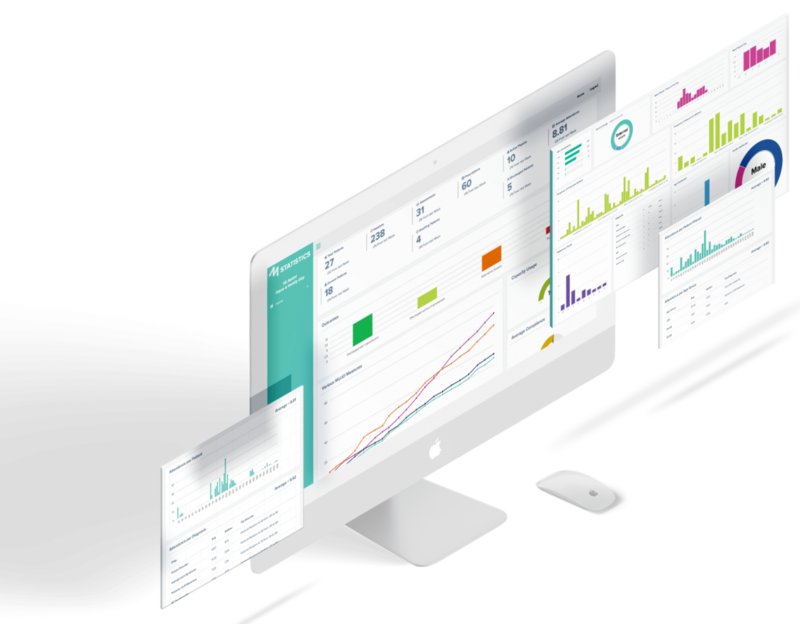 The cloud technology powering our devices allows us to provide a dashboard displaying key metrics and performance data. The predictive model allows clinicians to view which motions and prescriptions are considered to be most affective given a patient’s history and details.